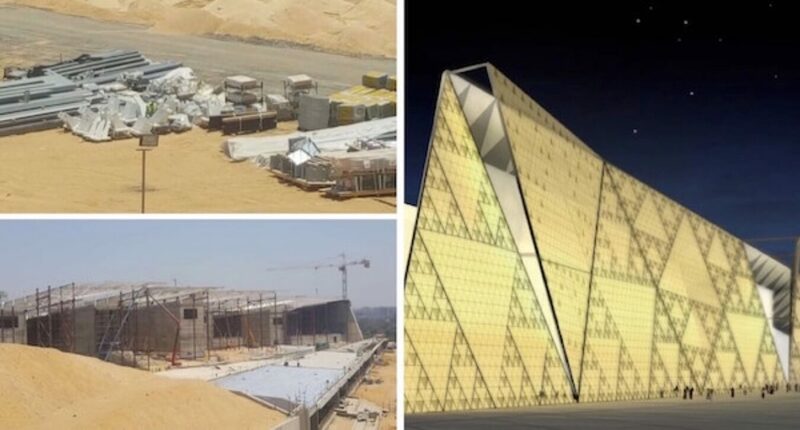 Trans.Al Logistic GmbH, has been appointed for handling 1600 tonnes of steel and glass components for the construction of the Façade of the new Grand Egyptian Museum, that will be one of the biggest museums in the world, housing more than 100,000 artifacts from all pharaonic periods. The façade is certainly one of the biggest challenges in this mega-construction project. It will measure 45m high and 600m wide, and includes thousands of triangular glass pieces of different sizes assembled with a precise designed pattern. The logistics project for the delivery of the façade elements started in January and will continue right until October this year. This is a major logistics project, for which a detailed planning, perfect coordination and excellent follow up are essential. Several factors must be taken into consideration for a continuous revision of the road-map. The construction planning includes the different execution phases, with strict timings agreed by contract. In concrete, the façade construction starts after preliminary building works for allowing its anchoring. For the appropriate monitoring of the project planning, Trans.Al Logistics has assigned a Project Manager, who oversees the interlocution and coordination with the Project Managers in charge of the direction and execution of the construction. 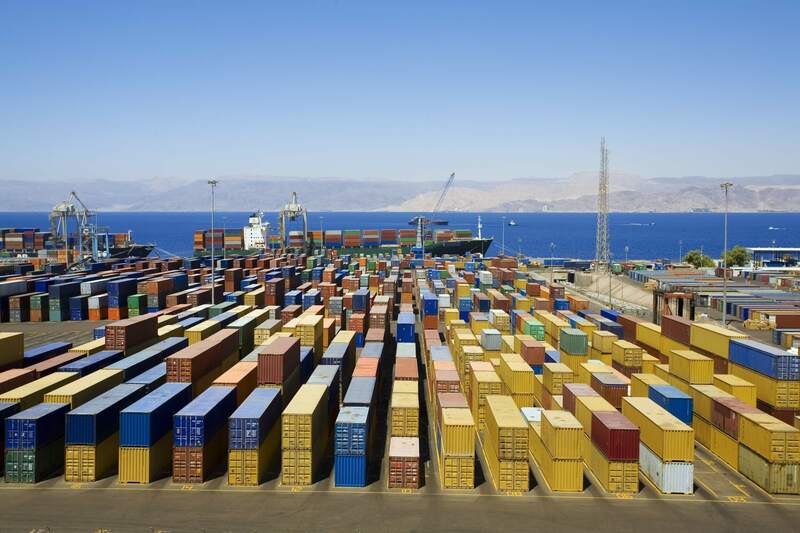 The construction is taking place on the edge of the first plateau of the desert between the pyramids and Cairo, and the storage space at the site is very limited, for this reason it is necessary to adjust the weekly deliveries of the containers to the construction progress and agreed dates. On the other hand, the appropriate supply of materials must be assured in order to comply with a precise execution plan and the construction works rhythm that is extended day and night. The availability of adhesives, silicones and cement necessary for assembling the façade elements and parts, has been assured on site under 20ºC using a permanent Reefer Container. Given the huge contractual volume, the glass pieces, that are manufactured in Germany, are coming out practically in a continuous way from the factory to the port of Trieste in Italy to be transported by sea to Alexandria port, assuring the shortest transit time. Then the shipments are transferred to truck for the final transportation and delivery in the construction area. We operate exclusively in accordance with the Allgemeine Deutsche Spediteurbedingungen 2017 (ADSp 2017) (German Freight Forwarder´s General Terms and Conditions 2017). Note: In Clause 23 the ADSp 2017 deviates from the statutory liability limitation in section 431 German Comercial Code (HGB) by limiting the liability for multimodal transportation with the involvement of sea carriage and an unknown damage location to 2 SDR7kg and, for the rest, the customary liability limitation of 8,33 SDR/kg additionally to EUR 1,25 million per damage claim and EUR 2,5 million per damage event, but not less than 2 SDR/kg.